Love them or hate them, QR Codes can be an incredibly beneficial real estate marketing tool. Not only do they allow buyers to quickly find information on a property they might be interested in, but they help you track your marketing ROI. Here’s what you need to know in order to effectively include QR Codes in your real estate marketing strategy. 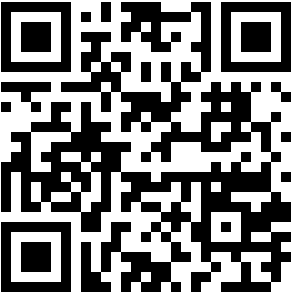 QR Code is short for “Quick Response Code”, and it certainly is quick. Consumers scan the code with a mobile device and are immediately taken to a website for more information. In the real estate world, this allows buyers to get instant information on the property they are interested in. Give it a try by scanning the code included in this post (if you haven’t used a QR Code scanner before there are several great apps available for iPhone and Android for free). If you have a property uploaded to the ePropertySites system, four different QR Codes were automatically generated for you upon activation, and can be found by going to your Properties tab> Tools icon> Snap-It Tag or QR Codes. Save the QR Code you want to use in your marketing materials. If you don’t have a property in the system but would like to experiment with Codes, there are many online generators you can find by Googling “how to create a QR Code”. If you’re feeling artsy, you could even incorporate QR Codes into creative works like artist Yiying Lu! The QR Codes available to you on ePropertySites are each slightly different, allowing you to place a distinct Code in four different locations to help you track the activity generated by your marketing. Use one QR Code on your signes, another in your newspaper ads, and so on. Scans will be registered on your website hit report (Properties tab> Hits icon). This allows you to determine which marketing efforts are most successful, saving you valuable time and money. QR Codes are definitely rising in popularity. Usage jumped an astounding 617% last year. Whether or not you hop on this bandwagon is up to you (there are arguments to support both sides of the QR Code debate), but educating yourself on the best way to use QR Codes will help you successfully incorporate them in your real estate marketing plan when you’re ready.